I'd talked in my last post about wanting to Running a 5K Race In Under 20 Minutes. 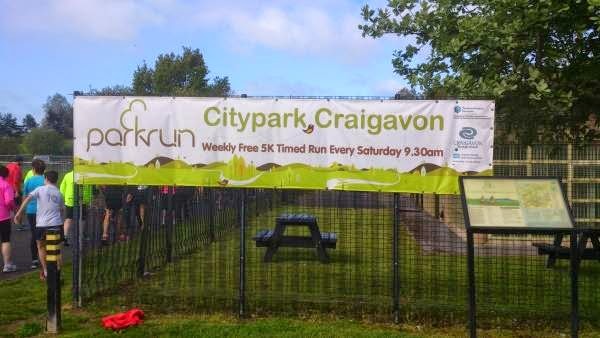 I'm not too far away from it, but yesterday's Parkrun race saw me get a slower time than my previous Parkrun, finishing in 20 minutes 54 seconds. Some free advertising, for a free race.. There are a few things which I should be able to do over the next few weeks to dramatically increase my running pace, and get a sub 20 minute 5K. Today I'm only going to look at a couple of changes, as I think changing too much all at once doesn't always work well. Not for me, anyway. Getting a sub 20 minute 5K is possible when carrying a few extra pounds, but it becomes a lot easier to run when you aren't carrying excess fat. We don't like to hear it, but it's true. You're legs, muscles, heart and lungs all have to work harder to get you around the course if your diet has left you slightly heavier than you should be. Don't expect an overnight transformation with your weight, but losing 1-3 lbs over a week should make for an improvement with your running times. Possibly two servings on the one plate.. Imagine carrying a bag of sugar for your next race. You'd be able to carry it for the duration of the race, but you would be a lot faster if you didn't. The same goes for that 1-3 lbs that doesn't need to be there. I love my food. The picture above was yesterday's lunch. The picture below was yesterday's dinner. 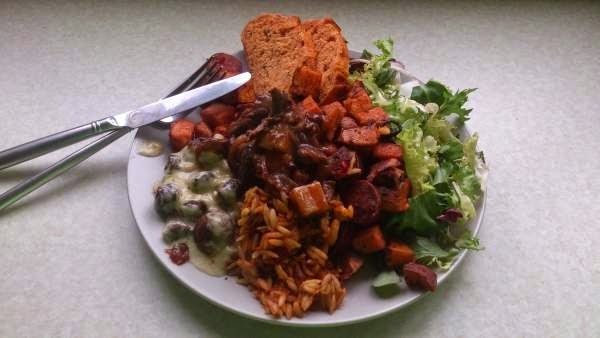 I really don't want to stop eating food like this, so I need to make a few small changes over the next week in order to lose a couple of pounds, that doesn't mean I have to start eating lentils. I don't get drunk during the week, but I do find it very easy to down a couple of tins of beer in the evenings after dinner. For me it's a way of relaxing, but it's also a very easy way of ingesting more calories. One can of beer is close to 200 calories. A glass of red wine in the evenings isn't too far behind either, especially if you pour yourself a generous glass. The benefits of a 3 mile run can quickly be reversed with a few drinks to "reward" yourself. And not only is it adding unnecessary calories, it will also leave you feeling groggy the next day. So for the next while, I'll be giving alcohol a miss during the week. That should help me start losing a bit of unwanted fat. Another major downfall in my diet. I eat my greens, I eat good protein and I love home - cooked dinners, but in between I can eat a huge amount of chocolate or other unhealthy snacks. So I'm going to try and solve this by doing two things..
1) - I'll make sure there is plenty of fruit to snack on during the day. It still contains a lot of sugar, but it's a lot better than a chocolate bar or a sneaky cheeseburger. I'll be shopping later today, so I'll stock up on apples, bananas and oranges. 2) - I'll drink a chocolate protein shake every day. This should help curb my chocolate cravings, while also helping my muscles to grow and repair. 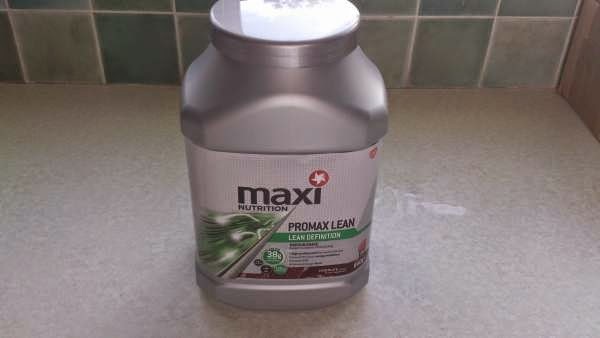 I like the Promax Lean from Maxi Nutrition, as it's a good quality protein but with less calories. My alternative to chocolate bars.. I Will Run Faster Next Week!!! 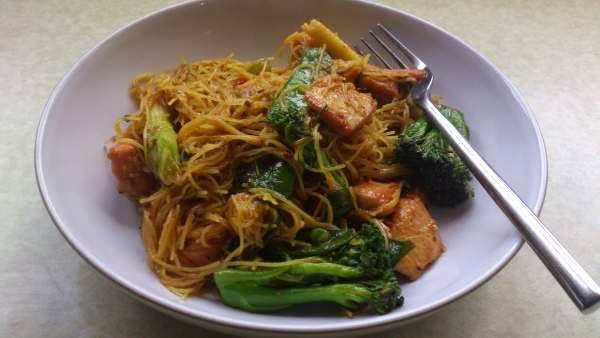 I hope you can take something from this post, whether you like to relax with a glass in the evenings, or find it hard not to make poor snacking choices between meals. Addressing just one or two issues like this can make a big difference to both your training and any races you might have coming up. I'll be looking at my training, sleep, race preparation and race strategy over the next few days, which will all hopefully bring me closer to that sub 20 minute 5K race. Again, I'll just be looking at a few changes.